This year’s National Finals Rodeo in Las Vegas will be kicked off by a Downtown Hoedown in downtown Las Vegas. The event will start at 4:30 PM PST and last until about 11 PM PST. 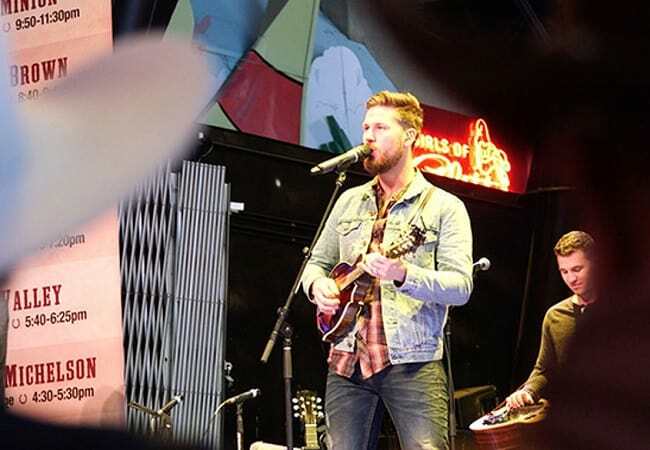 The event is in the Fremont Street Experience, which is the five-block entertainment district located in historic downtown Las Vegas, and it should be a great venue for the concert as it is every single year. This is the 32d year in a row that the Downtown Hoedown will be taking place in Vegas and every single year it is always a great event. The concert is free for everyone so there is no need to buy tickets; all you have to do is showup and you can enjoy a night filled with great country music. The National Finals Rodeo in Las Vegas is a 10-day event where the nation’s top rodeo competitors compete for over $10 million in prize money. The Downtown Hoedown is a perfect way to showcase the National Finals Rodeo and get ready for 10 incredible days of rodeo. Some of the rodeo stars will be making an appearance at the Downtown Hoedown so make sure that you get to the venue early enough to grab a great view and maybe you can even snag an autograph! Some of country music’s biggest stars are going to be there to open the National Finals Rodeo. Some of the musical guests are Chris Janson, Granger Smith, Sammy Kershaw, Aaron Tippin, Collin Raye, Haley & Michaels and Corb Lund. This all-star lineup should entice even the most casual country fans and it will make for an incredible experience and a night that will not be forgotten. There are three separate stages for the venue so make sure that you get there early to see your favorite country music act! Fremont Street Experience offers free live entertainment on three stages and features Viva Vision, the world’s largest single video screen – 1,500 feet long, 90 feet wide and suspended 90 feet above the urban pedestrian mall. Viva Vision features nightly spectacular light and sounds shows with 12.5 million LED lights and a 550,000-watt sound system. This video screen offers so much to anyone who decides to check out the Downtown Hoedown. It ensures that everyone who is at the concert can easily see whoever is performing and it is so impressive to see the massive video screen in person. Anyone who is a country music fan should check out the Downtown Hoedown on December 5th in Las Vegas. It is a great way to kick off the 2018 National Finals Rodeo live action and if you are planning to attend all 10 nights of the rodeo finals then you should take the extra day and come in a day early to watch this great concert. The best part is that the whole concert is free and all you have to do is show up early enough to get a good view.